When I think of McCoys crisps I always think of crisps which are thick, crinkle cut and substantial. They are the sort of crisps that fill you up and are full of flavour. These are a whole new product from the company; McCoys Muchos Sour Cream and Onion. They are based on a Mexican Street Food, where a small round tortilla is folded and toasted. 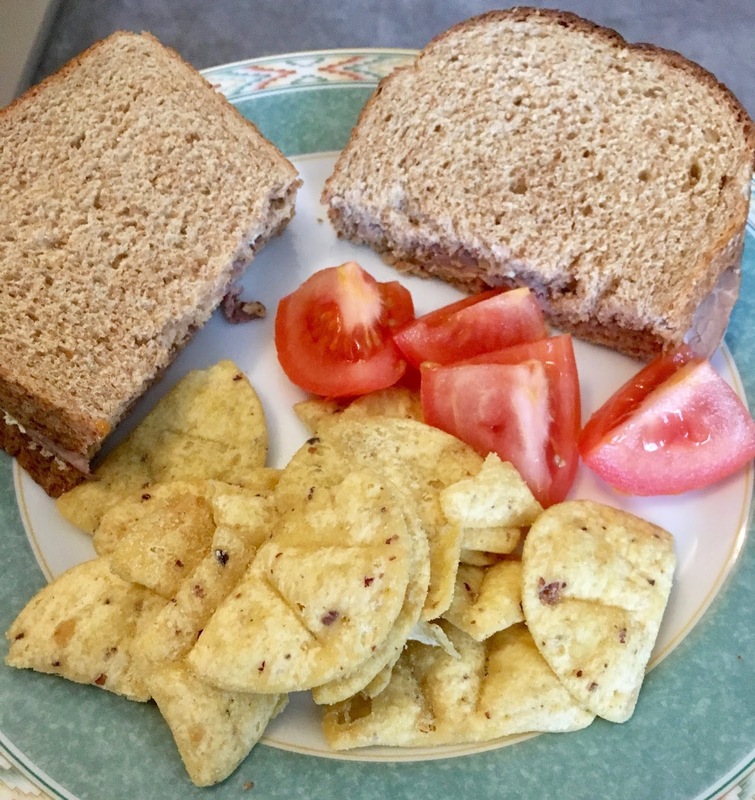 I think these McCoys Muchos crisps could be nice served with a dip, but we decided to have them with our lunch time sandwiches. The crisps were mostly semi-circles, but there were quite a few broken bits there too. 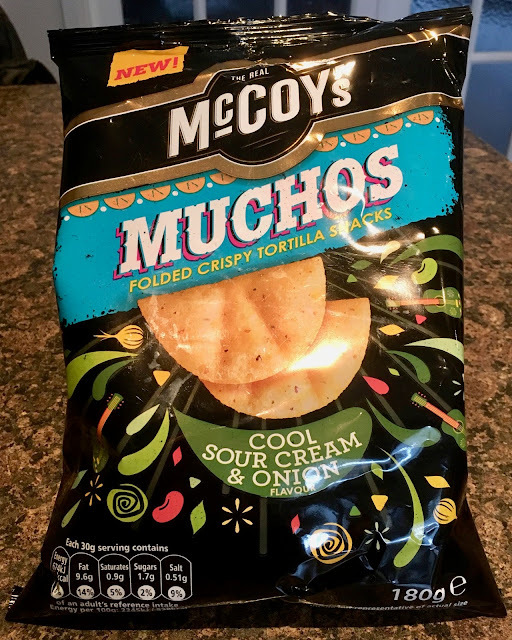 I have to admit that Sour Cream and Onion sounded like quite a mild flavour for these McCoys Muchos and I was expecting something quite easy going. I was pleased to discover that they explode flavour on the palette. Firstly the texture is lovely and crispy and the sections have air in them that enhanced the crunch when you bite through the layers. The flavour does the all the elements of sour cream, but there is a full flavour from onion and a splash of lemon juice too, and this acidic mix works remarkably well with the other tastes and the sour cream. I had been expecting something quite mild and I got a wonderful taste sensation, yes they would go well with a dip but they hold on to their own on their own too. I was very impressed, so much so I have added the other new flavour to my next online order, McCoys Muchos Nacho Cheese, and I can’t wait to dig in. These cheese ones have a little "nip" after you've eaten a few.